What better way to celebrate Campus Sustainability Day than by kicking off a month long sustainability challenge? Residence Life, in partnership with other on campus partners, kicked off its 8th annual ResLife Sustainability Challenge on Wednesday. The calendar for this challenge, and ways to engage with sustainable activities, can be found on Residence Life’s Facebook page. 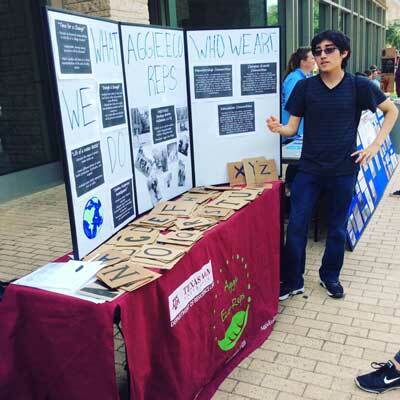 Simultaneously, twenty-four student organizations and departments tabled booths in Rudder Plaza on Wednesday, October 19, for Campus Sustainability Day which was coordinated by TAMU’s Office of Sustainability. Pedestrians enjoyed seeing how Aggies from all walks of life and backgrounds implement sustainability right here at TAMU. 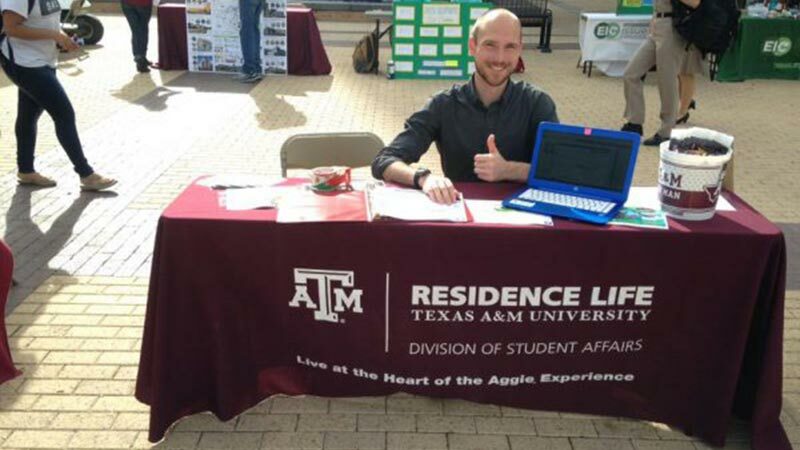 Residence Life and the Aggie Eco Reps joined the plethora of departments and student organizations and enjoyed telling fellow Aggies about their role in sustainability at TAMU. Residence Life discussed how closely monitoring our utility systems for maximum efficiency with Utilities and Energy Services, installing water bottle filling stations with the aid of the Aggie Green Fund, promoting ongoing sustainability challenges, providing recycling bins for our residence and many more efforts puts Residence Life in a privileged position to engage students about the sustainability at TAMU. 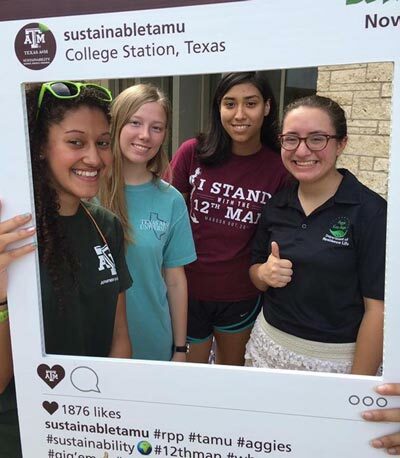 The Aggie Eco Reps enthusiastically discussed their student organization’s mission, their calendar of events that promote service and educational activities, the unique perspective they have about sustainability at TAMU and the leadership they provide on sustainability issues in the residence halls. This event was a fun way to start the ResLife Sustainability Challenge as we transition into the second half of this semester and the holiday season. Stay tuned for more information about the Residence Sustainability Dinner and the Sustainability Awards!